The following is a personality profile of Confucius based on his work. Confucius is unconventional and expressive. He is laid-back, he appreciates a relaxed pace in life. He is unstructured as well: he does not make a lot of time for organization in his daily life. 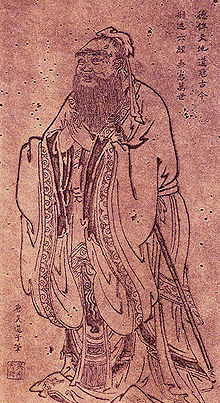 But, Confucius is also proud: he holds himself in high regard, satisfied with who he is. More than most people, his choices are driven by a desire for stability.